Introducing the new 390 Series revolutionising weighing with modern technology, ease of use and eye-catching design to suit all modern laboratory environments. 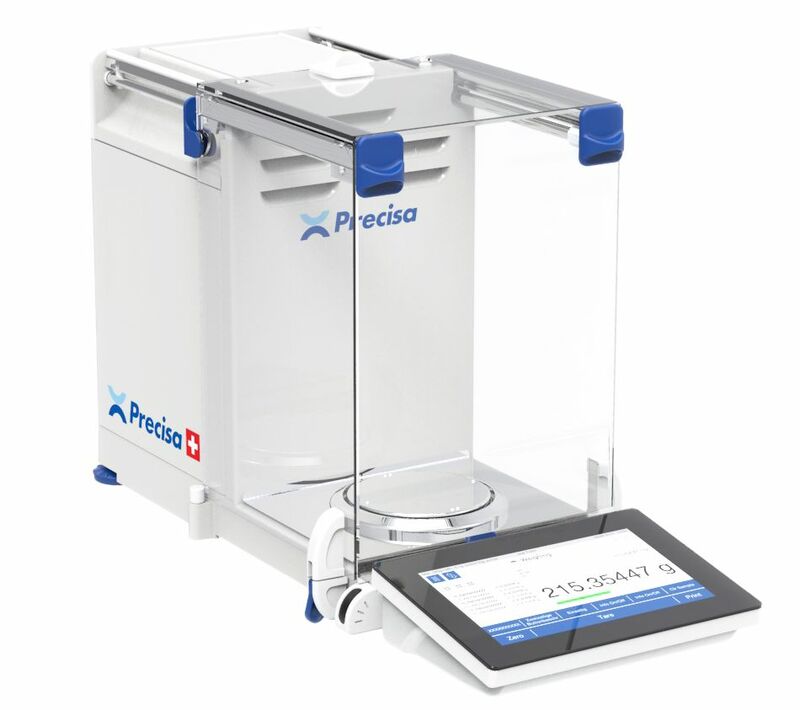 With an array of features and customisation, the 390 Series models all have 7″ anti-reflective touchscreen displays, low weighing pan height, electronic precision level display and user management suitable for use in GLP/GMP environments. There are four different Precisa 390 models: HF, HA, HE, HM eash with distinct functions and accessories incorporated. Large colour Touchscreen with icon driven interface for balance operation and menu control. Newly designed draft shield with frameless glass windows providing a barrier-free view and easier access to the weighing chamber. Removable glass to enable for preparation for cleaning in seconds. Glass parts, all weighing pans and other components can be cleaned in a dishwasher. 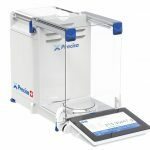 Low weighing pan height to enable ease of use when weighing in particular in restricted spaces such as laminar flow cabinets or other restricted areas. Electronic Precision Level – visual display on colour touchscreen to enable easy visualisation of balance level and realignment if necessary. Apps – weighing applications can be easily added to the 390 Series without the need for engineer intervention or costly upgrades, futureproofing your balance for future requirements and applications. Self Linearisation System – automatic adjustment and relinearisation option which can be triggered by changes in the balance environment or manually by operator if required. User Management – icon driven user management to provide security, control and conformance to GLP/GMP requirements in regulated environments. On-board Help – no need to find the manual or locate a pdf on your PC, the onboard help function enables easy access to help based on your current balance mode. Automated draftshield. Silent motor and touchless sensors easily provide touchfree opening/closing of the balance drafthshield. The sensors can also be programmed for functions such as extent of draftshield opening, tare and triggering zero. Static electricity removal using the in-built ECS (Electrostatic Cancellation System) to quickly and thoroughly neutralise electrostatic charges that may be present on your precious sample. AOS – Ambient Observation System. When environmental changes occur due to temperature, humidity and/or pressure changes in weighing environment, the AOS System can perform automatic readjustment of weighing parameters to guarantee results.